Don’t worry, I didn’t have wine for breakfast. We had it the night before and as it was such a special bottle it deserved a photo. 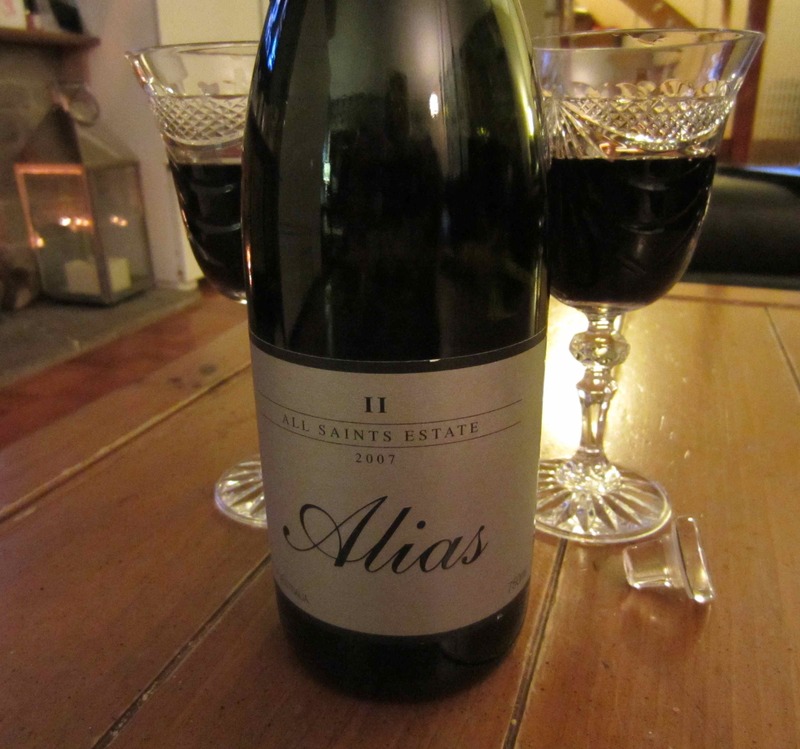 Last summer Lara spent several weeks learning how to make wine at All Saints in Australia and this is one of the bottles she brought back with her. She just found out she had passed an exam so we celebrated and celebrated in style. This was one of the best wines I have ever had the pleasure of. Full complements to the fabulous wine maker 🙂 And check out the cork – a cute glass one. That’s a keeper! 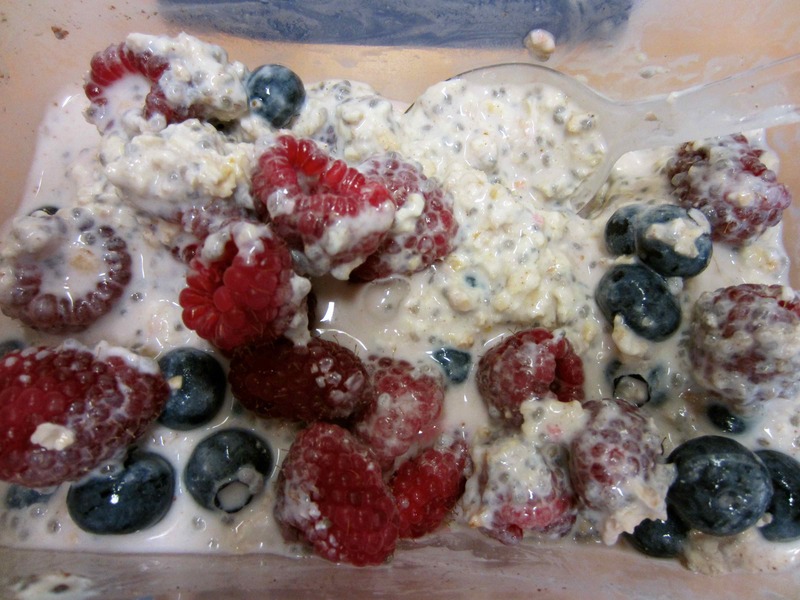 Overnight oats for breakfast. I love this breakfast as it is delicious and so easy. The night before I put 1/2 cup of oats in a container with 1/2 cup of almond milk, 1/2 cup of natural yogurt. 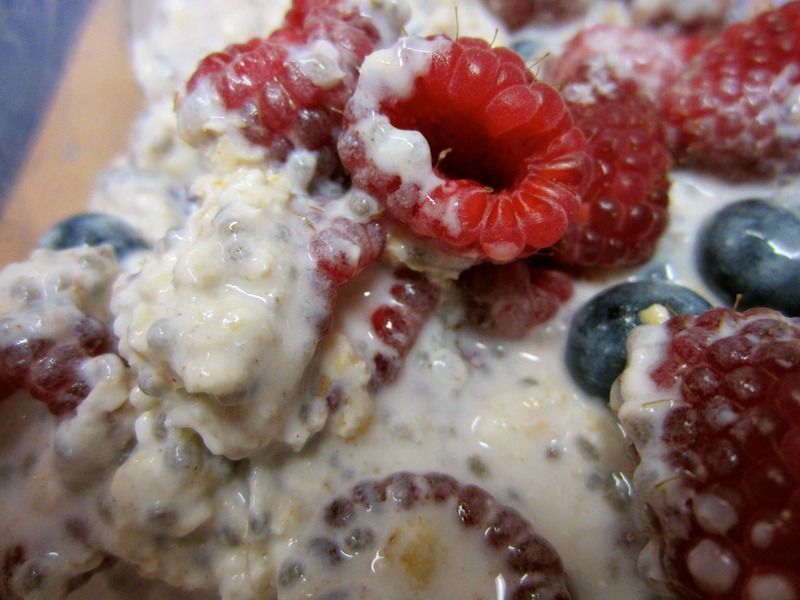 1 tbsp chia seeds, 1/2 tsp cinnamon and raspberries and blueberries. Yum. 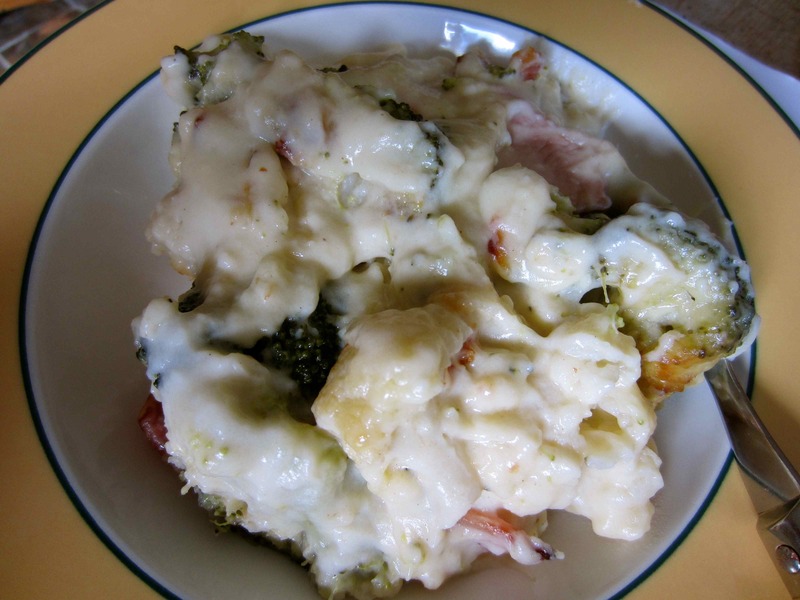 Lara made lunch for us ( I worked from home) – broccoli and cauliflower cheese with bacon. 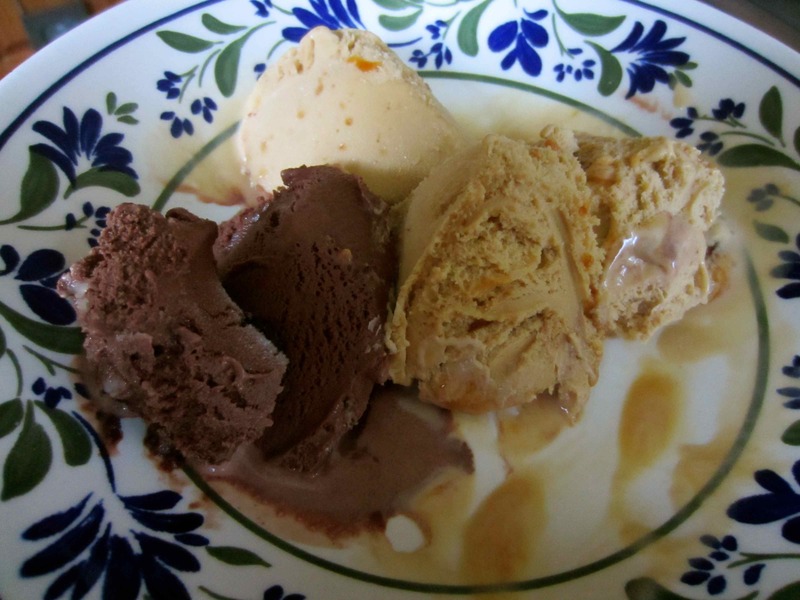 For supper I am ashamed to say I had ice-cream. Taywell’s honeycomb which is completely amazing and some chocolate fudge. What possessed me to eat this you may ask? Well I bought it because Harvey had a tooth removed this evening and it was an easy thing for him to eat and I couldn’t resist it. Plus, I am full of a terrible cold with a very sore throat so too tired to cook, too ill to feel hungry and this was easy on the throat and no cooking required! 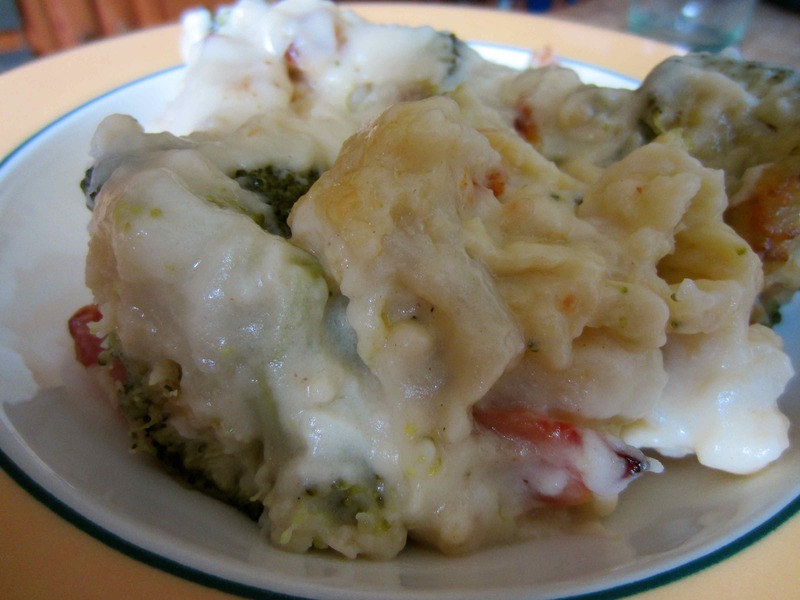 This entry was posted in Diet Struggles and tagged Oats. Bookmark the permalink. Feel better soon Zöe. If you have any Apple Cider Vinegar with the mother, mix a tablespoon of it with a tablespoon of organic honey in an 8 oz glass of warm water and drink. It will help your sinses and your throat. You can drink this every 4 hours. It works. Honest. Just rinse your mouth out after because the acid in the vinegar doesn’t need to eat away at your teeth. The vinegar and water helps as well. The honey is a natural antibiotic, just like the ACV is. It also makes it more tolerable to those who can’t do it without. I don’t usually use the honey. The ACV will work on its own to help with the throat and the sinuses.